Take a picture/photograph and write. I think that at any age level, this strategy can be applied. Students can and will find themselves inspired by a picture and will have the freedom to write their piece in any direction they feel, whether literally describing the picture, creating a story, or even going into a reflection of the memory associated with the image. I think that the ‘Snapshot’ strategy can help students to get started with their writing, especially if they’re feeling stuck. The students can also take their ideas about the picture and form them into thoughts, or more cohesive sentences—paragraphs, narrative essays, etc. Going along with this strategy is the idea of ‘Beyond the Kodak’ which is encouraging students to go beyond telling, but actually show through detail, figurative language, and description. In using the ‘Snapshot’ of their choice, students can form a paper where they specifically work on developing the images and descriptions to make it real to the reader. The students can also pay attention to the hook and opening scene as they write. I think the strategy opens nicely into that idea as well. By using description and detail, the reader is pulled into the story. 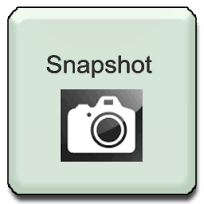 Students will work with their ‘Snapshot’ ideas and modify/revise them to be more interesting and appealing.